There is no doubt that Shadow Warrior, the 2013 reboot of the earlier 90’s classic, was one of the video game sensations of that year. The game featured fast-paced action and combat, with a large arsenal of guns available to players, and also pretty good melee combat. Actually, Shadow Warrior has been one of the few first-person shooters to get melee combat right, and using protagonist Wang’s trusty pair of katanas to slice and dice enemies in the game was surely a joy… And now Polish developer Flying Wild Hog has released Shadow Warrior 2, a sequel to their 2013 hit which promises to deliver more of what made the first game great, while also adding several interesting new features. 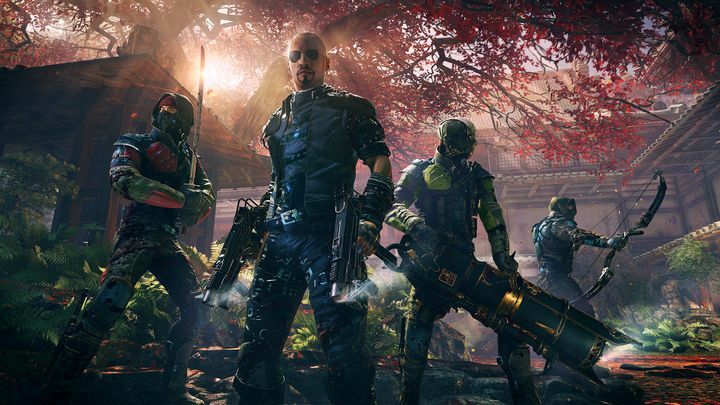 The game’s launch trailer below shows that the action in this Shadow Warrior sequel will be as bloody and gory as that in the original game, plus it also introduces the characters that mercenary for hire and reluctant hero Lo Wang will encounter in his adventures. The game has a few new tricks up its sleeve to, as players will be able to play the single player campaign with up to 3 other players for some co-op action, and Shadow Warrior 2 also features what’s known as “procedural environments”. This means that parts of each level will be randomly generated so these will be different in each playthrough, surely adding to the game’s replay value. And given the game’s solid early reviews, it is likely that Shadow Warrior 2 could become one of the top video game experiences of the holiday season, while also offering some of the best first person action of any game this year. Note: Shadow Warrior 2 is out now. Available on PS4, Xbox One and PC.